2017 In A Sentence: Ole Miss closed out the season winning three of its last four games and gave first year head coach Matt Luke a .500 season at 6-6 but a bowl ban of two years prevented the Rebels from a postseason game. Biggest Shoes to Fill: NT/DE Breeland Speaks ranked second on the team in both tackles (67) and sacks (7.0). He finished the season with eight tackles for loss and was a second team All-SEC performer. Speaks was drafted in the second round of the NFL Draft by the Kansas City Chiefs. Key Player: QB Jordan Ta’amu was a big part of the the last part of the season’s upward swing as he showed ability with his arm and his legs. He completed 65% of his passes and ended the year with 1,682 yards and 11 touchdowns. 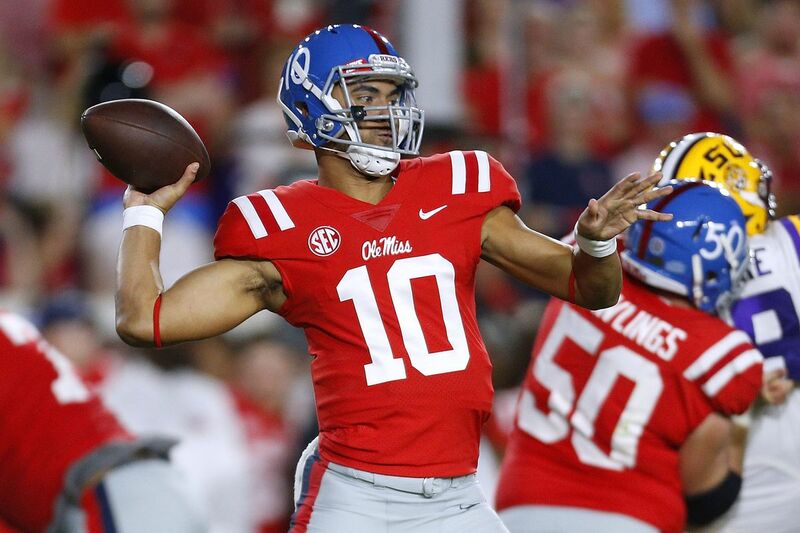 The now-senior threw for 365 yards or more in his first three career starts and will look to maintain that for a powerful Rebel offensive attack. 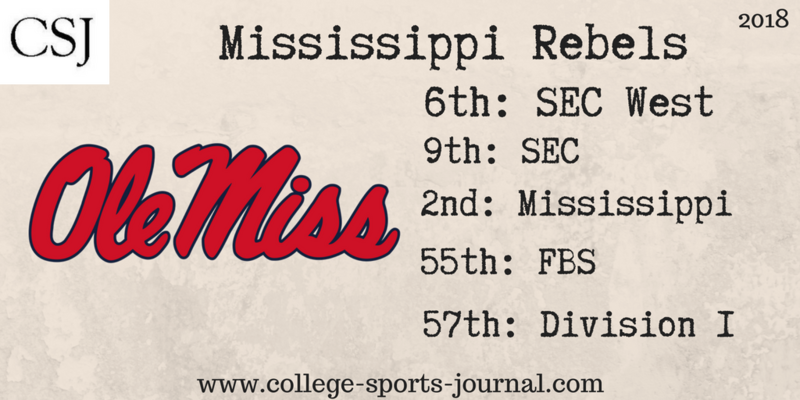 Fearless Prediction: With another year of the bowl bid ban, the Rebels will try to at least duplicate the 6-6 record and with a powerful offense, this year’s team should have no trouble scoring points. The issue may come from the defense that has just four starters back on a team that gave up over 34 points per game. Expect a five to six win season for this team as it grows with Coach Luke.